Central park is one of the best places for engagement photos. The Best Central Park Engagement Photos are definitely in the summer. Because central Park is such a busy place it allow you to embed characteristics of the atmosphere in the images. 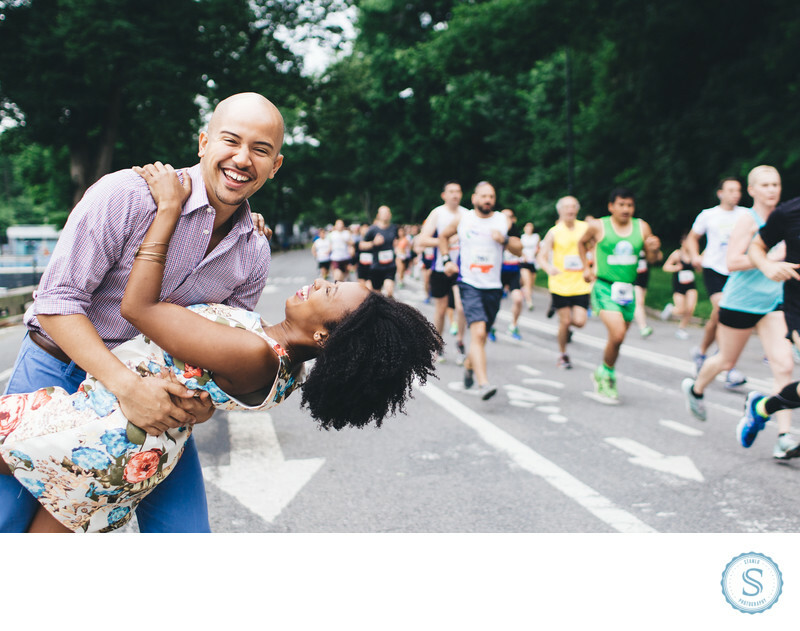 This annual run schedule every year was the perfect time to allow the couple to have fun during their New York engagement session. Location: New York, Central Park. Filename: central-park-run-egagement-dance.jpg. 1/640; f/2.2; ISO 200; 35.0 mm.